ZANESVILLE, Ohio. – Test driving a car is always a fun way to see if you like the vehicle. Imagine if you could test drive a car while helping out a really great organization. People had that opportunity today in Zanesville at the Dutro Ford on Fifth Street. For every person that test drove a car today, Ford donated 20 dollars to the United Way. United Way Executive Director, Meg Deedrick said she is very grateful that the Ford Motor Company continues to work with them. “This is the 5th annual “Drive 4 Ur Community.” It’s the 5th time that we’ve been fortunate to partner with Dutro and the Ford Motor Company. To create community investment while driving some really beautiful cars,” said Deedrick. 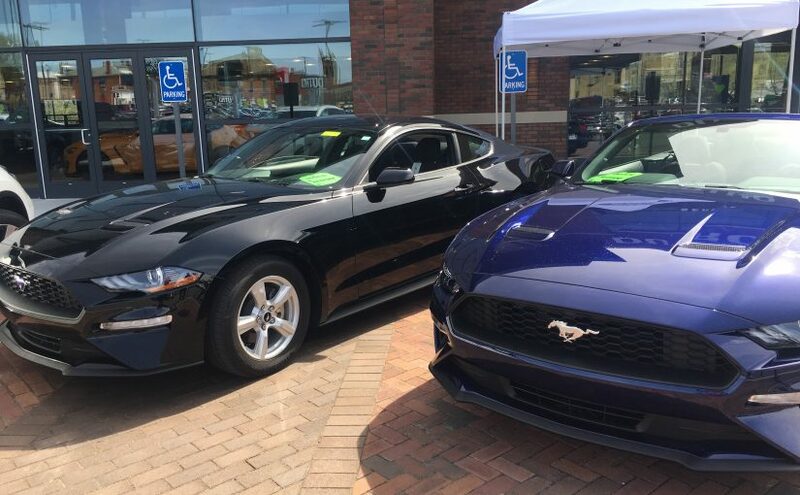 The Dutro Ford Dealership put out numerous vehicles for people to test drive including Mustangs, Expeditions, the Edge, fusion, and many more. Deedrick said it benefits not only United Way, but the Ford Motor Company as well. “It is a mutually beneficial partnership between the Ford motor company and the United Way. We have enlisted people to come and do test drives on their fleet of cars and to fill out brief questionnaire. So it gets them exposure and it gets information for the Ford Motor Company and it also gets us 20 dollars per test driver,” added Deedrick. Deedrick says the event was going excellent and by three in the afternoon they already had over 200 drivers. She said they expect to hit their maximum of 300 by the end of the day.